Brand marketing is critical to a company’s long term success. Increase your brand’s awareness and messaging with creative visual fabric applications. Dazian adds an element of visual theatre to your retail displays. 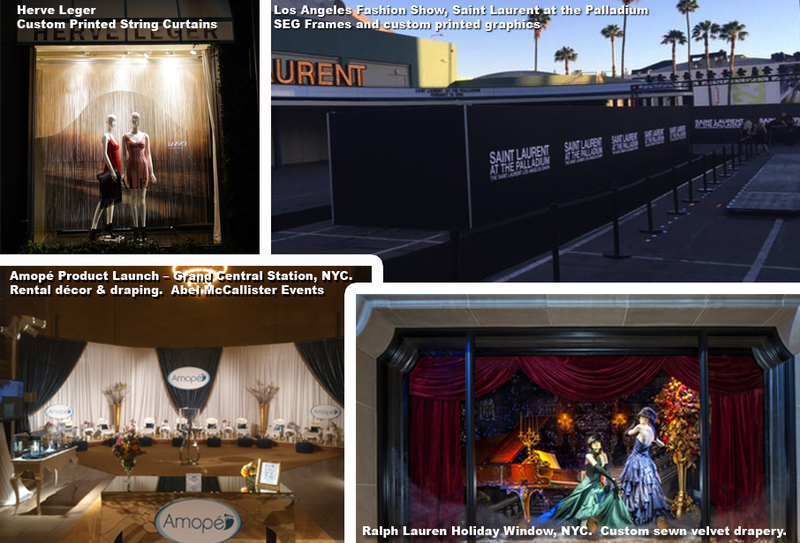 We are the fabric experts in the Visual Merchandising and Display Industries. We develop functional and decorative materials and custom fabricated designs that create one-of-a-kind fabric environments. Whether you know us for elegant drapery, themed decor elements for store windows and displays, digitally printed banners, graphic structures, and Light boxes…Dazian is the company for innovation and design.